Display LED signs, such as open signs, in establishments to attract more consumers. LED signs can help increase a huge volume of foot traffic in businesses. For only $69, AffordableLED.com offers bright and quality produced open signs that shops can display, guaranteeing a boost in sales and costumers. Originally costing $79.00, the L7006 Open Sign is now available for only $69.00. This month, AffordableLED.com offers a special open sign for only $69. Originally sold at $79, the #L7006 Open Sign is brighter than neon signs and operates for as long as 100 hours. Free shipping is available to all 48 states, and priority shipping also available. Take advantage of this offer to receive huge savings on the #L7006 Open Sign. Open signs consume 70% less electricity and are safer to touch and operate. All open signs by the leading manufacturer of LED signs feature multiple animation modes, and a one-year warranty. AffordableLED.com, a LED signs wholesaler offering unique designs in LED signs and neon signs, prides itself in creating artistic and inventive LED signs and neon signs. Customized and programmable LED signs are also available, backed by the lowest prices in LED signs available in the market. All LED signs and neon signs guarantee a higher profit margin, allowing businesses to resell LED signs with confidence. Because LED signs are more energy efficient and long lasting, LED signs provide lower energy consumption compared to neon signs. For 24 hours a day, 7 days a week, AffordableLED.com promises LED signs that are reliable and are quickly becoming a must-have for all business establishments. AffordableLED.com assures all clients of a 100% quality guarantee policy as well as shipping within 24 hours of order. The online retailer and wholesaler of bright LED signs regularly gives away specials of the month, so sign up with the company's newsletter to be updated of their latest promotions and updates. 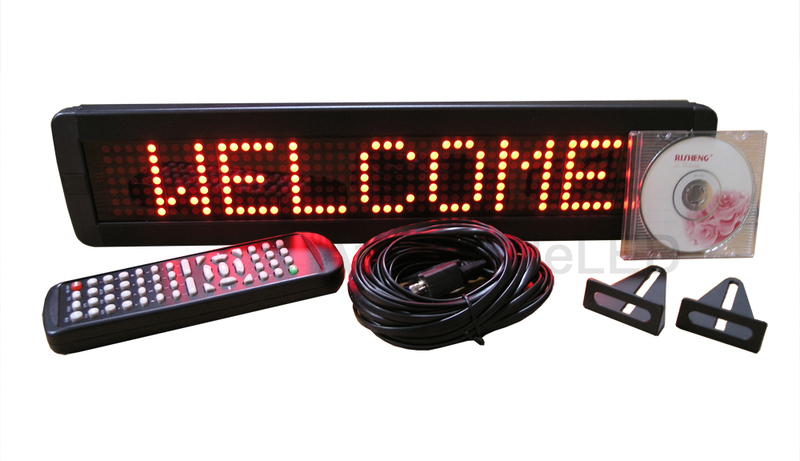 Programmable LED message boards are also availble as well as other led signs and neon signs - only at AffordableLed.com.